The ability to conquer stress naturally may, at first, seem like a huge mountain to climb. However, when we support our body using natural methods, the results are usually not only effective, but lasting thus making that mountain climb worthwhile. Unfortunately, stress is an all too common fact of life in our modern world. Busyness, called by some “The Drug of the New Millennium,” has most of us, from youngest to the oldest, scurrying about like lab rats. We have become a people who live life at a frantic pace, often failing to provide ourselves the nutrition and lifestyle we need to be physically and emotionally healthy. The result is high levels of stress which tear down our minds and bodies. The question is not whether we have stress in our lives, but rather how we are going to deal with it. Stress is known to bring the terrain of the body to a state in which illness can thrive. Some viruses (latent) are known to reappear when we are physically and/or emotionally stressed. Even research suggests that chronic stress not only increases susceptibility to new viral infections but also renders an individual more vulnerable to the reactivation of latent viruses within the body. How can we solve this epidemic of “busyness?” Certainly the answer is not prescription drugs which only tend to make matters worse due to toxic side effects and the very real possibility of addiction. As always, nature has given us ways in which we can use to conquer stress naturally. But, as with anything worthwhile, it takes a willingness to take responsibility for our own health. Below I list some of the best ways, in my opinion, to effectively deal with stress. Eating healthy can be difficult, at best, especially when your thoughts are totally consumed by daily life. Believe it or not, but eating foods that are organic, healthy, nutritient-dense, and as close to nature as possible will actually help you stay focused and strong while also keeping your immune system peaked. Pre-packaged foods, junk food, unhealthy oils/fats, and too much sugar can contribute to digestive disorders and sleep disturbances which will make stress symptoms worse. Try to avoid coffee and other caffeinated drinks that can cause nervousness and agitation, thus contributing to stress symptoms. Shop the outside perimeter of your grocery store for the healthiest and freshest foods. All health issues are directly related to the nutrition we provide, or fail to provide, for our bodies. When it comes to stress, the B Vitamins play a crucial role in the way we manage and prevent its harmful effects. 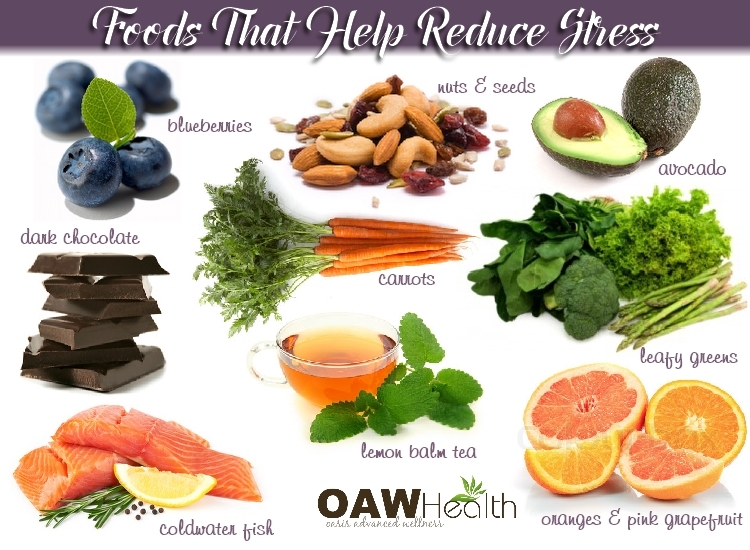 Stress is often a silent enemy that can result in physical and mental illness, and B Vitamins are necessary to bring balance to our nervous system, allowing us to stay calm and avoid chemical imbalances that are both a cause and a result of unchecked stress. Below is a summary of the major B Vitamins and how they can help. B1 (Thiamine) – Critical to proper operation of the nervous system, B1 is needed for the metabolism of key amino acids at the cellular level, especially in nerve cells. Thiamine helps with mood changes and general fatigue that are often associated with stress. Thiamine cannot be made by the body, but must be derived from dietary sources such as whole grains, peas, beans, fish, and lean meats. B3 (Niacin) – Niacin is involved in many functions of the nervous system. One of the most important ones is its part in changing a substance known as L-Tryptophan into 5-HTP, and ultimately into a key neurotransmitter called Serotonin. Adequate levels of serotonin are very important at helping us to stay calm and avoid the irritability, anxiety, and depression sometimes linked to stress. B3 is mainly found in plant-based foods such as nuts, whole grains, and leafy green vegetables. B6 (Pyridoxine) – B6 also affects neurotransmitters that are crucial for neurological health. In addition, B6 works with other B vitamins to neutralize a toxic amino acid called homocysteine that can produce stress-related anxiety and depression. B6 is found in leafy green vegetables, eggs, fish, and nuts. B9 (Folate) – Also known as folic acid, B9 is vital for feeling energetic, mentally sharp, and helps to stabilize moods as well. The more stress that is in your life, the more you need to seek out B9. Dietary sources include citrus fruits, dark green vegetables, seeds, and whole grains. B12 (Methylcobalamin) – B12 (Methylcobalamin) is very involved in the overall health of the nervous system, which is the place in the body that is primarily responsible for stress management. B12 produces healthy neurotransmitters such as serotonin, dopamine, and others, and these chemicals help to keep our bodies balanced. B12 helps to avoid anxiety, mental confusion, and other cognitive problems. B12 can be found in organic and free-range eggs, free-range poultry, cold-water fish, and organic dairy foods. Most of us have probably heard of lithium. It is a natural mineral salt that we all need for optimal mental and physical health. The pharmaceutical high-level form of lithium is typically prescribed for anxiety, bi-polar disorder, and other mental health issues. This form exposes individuals to high amounts of lithium, and is associated with many harmful side effects, especially to the liver. In fact, patients must have their blood levels checked regularly. Lithium Orotate (first used by Dr. Hans Nieper in Germany), on the other hand, is a safe form of lithium that delivers much smaller, non-toxic doses directly to the brain (through the blood brain barrier.) 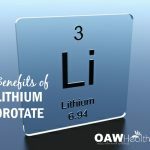 Lithium Orotate is a great stress management tool that boosts the ability of cells, especially in the brain and nervous system, to efficiently transport nutrients in and out of their membranes. Lithium Orotate has many applications, one of which is to help lower stress, anxiety, depression, irritability, and mood swings. Its use can benefit everyone by helping to decrease the effects of stress. EFAs, the “good” fats such as Omega-3, Omega-6, and others, continue to receive a lot of good press, as well they should. These critical nutrients have multiple beneficial effects. Omega-3s are “essential” fatty acids because your body isn’t capable of producing them on its own. One of the main benefits of EFAs is enabling proper function of nerve cell membranes. In fact, EFAs play a huge role at the cellular level throughout the body. 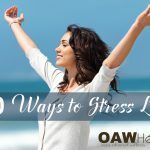 They can help you to have a healthy nervous system that weathers the effects of stress easier as well as helping keep negative emotions under control such as anger, fear, worry, and irritability. Unfortunately, when we allow such emotions to run free, they release harmful chemicals that only worsen the effects of stress. Some quality sources of EFAs include flax seed oil, hemp seed oil, walnut oil, mustard oil and algal oil (derived directly from algae). It’s usually best to use the natural cold-pressed oil form of EFAs, as it is difficult to get enough of them, especially in the proper balance, in your diet alone. Exercise such as a 30-45 minute daily walk can help tremendously with stress relief. Breathing in fresh air and allowing as much sunlight on your skin as possibly will not only make you feel better, but will literally help to clear your mind and emotions. It will also aid your body in the production of Vitamin D-3. For those days when the weather does not permit outside activities, try a using a Wii Fit or a mini-tramp. Soft jumping for 15-30 minutes is wonderful for the lymph system and will also help to burn calories. Other things to consider would be Yoga, Pilates and dance. Exercise should be brisk enough to bring on a sweat, but for those who have health concerns, just exercising a bit every day is beneficial. Take time for yourself and enjoy the exercise portion of your day which will not only relieve stress, but will also be beneficial to your overall health. Herbs can be used to reduce stress and manage stress symptoms. St John’s Wort, Valerian, SAMe, Chamomile, Ginger, Borage, Licorice, Milk Thistle, and Nettle have all been found to help with managing stress levels in a natural way. Because many herbs are contraindicated when used with certain prescription and over-the-counter medications, be sure to check for contraindications and/or check with a trusted healthcare professional. One of my favorite ways to manage stress is using aromatherapy. Certain scents can actually calm the body and relieve the tension and the anxious feelings that are often associated with stress. 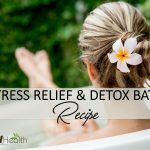 Essential oils of lavender, chamomile, geranium, rose, neroli, sweet marjoram, and ylang-ylang are among the most common recommended for the management and relief of stress. 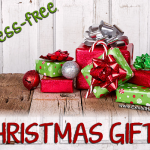 You can use these oils (mixed into an organic carrier oil) for massage, added to a warm bath or shower, with an aromatherapy diffuser or a few drops rubbed into the hands or the back of the neck (also a great way to relieve headaches). The ability to conquer stress naturally can be as simple as time management skills, getting more sleep (in bed by 10:30 PM every night), or talking over your concerns with a close friend, pastor, healthcare practitioner, or family member. However, sometimes stress relief means you must learn to say “no” and mean it. Realize that it is not healthy or even feasible for you to attend and/or assist with every event, project, and activity that comes your way. If you are already on stress-overload, try to reduce your activity schedule as much as possible, or even take a break as you are able. Learning to politely but firming say “no” can also be beneficial. Deciding to conquer stress naturally and in a positive proactive manner is one of the best wellness choices you can make. Following the guidelines above can help your body become more healthy and your stress levels to drop. S.K. Agarwal and G.D. Marshall Jr. (2001) “Stress effects on immunity and its application to clinical immunology,” Clinical and Experimental Allergy, 31(1): 25-31. S. Cohen, E. Frank, W.J. 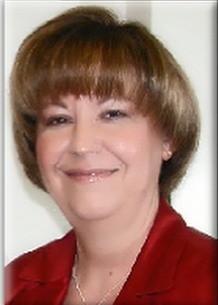 Doyle, D.P. Skoner, B.S. Rabin, and J.M. Gwaltney Jr. (1998) “Types of stressors that increase susceptibility to the common cold in healthy adults,” Health Psychology, 17(3): 214-223. R. Glaser and J.K. Kiecolt-Glaser (2005) “Stress-induced immune dysfunction: implications for health,” Nature Reviews Immunology, 5(3): 243-251.